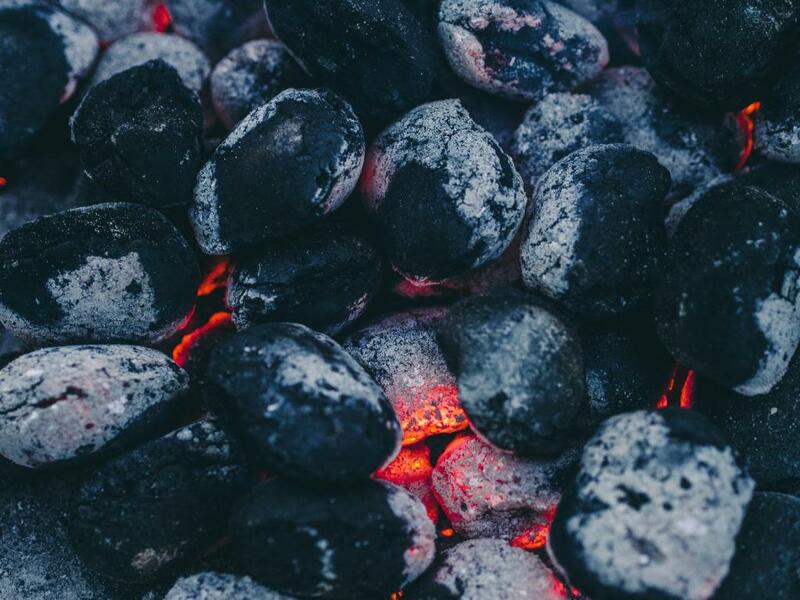 Goldman Sachs has boosted its price forecast for coking coal and copper and upgraded Teck Resources Ltd (USA) (NYSE: TCK) from Neutral to Buy. According to analyst Andreq Quail, the huge surge in coal prices has forced Goldman’s hand. The firm is now calling for 2017 coking coal prices to average $274/t, more than double its previous forecast of $135/t. In addition, Goldman has boosted its 2017 forecast for copper prices by 13 percent. 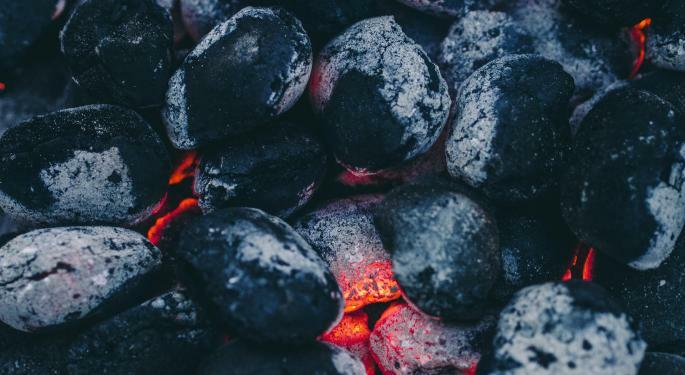 Goldman believes Teck’s 95 percent exposure to coking coal and zinc has the company well-positioned to benefit from strength in the two subsectors. In addition to the upgrade, Quail has lifted Goldman’s 2017 EPS estimate for Teck by 57 percent. “We now believe TCK should be able to take advantage of the current favorable pricing environment to further bolster its balance sheet, fund any accretive organic growth opportunities, and potentially revisit its dividend policy,” Quail said. In addition to Teck, Goldman has upped 2017 EBITDA estimates for Freeport-McMoRan Inc (NYSE: FCX) by 22 percent and for Alcoa Inc (NYSE: AA) by 15 percent. In the gold space, Goldman lifted earnings estimates for Buy-rated Barrick Gold Corporation (USA) (NYSE: ABX) and Newmont Mining Corp (NYSE: NEM) due to the companies’ copper exposure. Goldman now has a $31 price target for Teck stock. 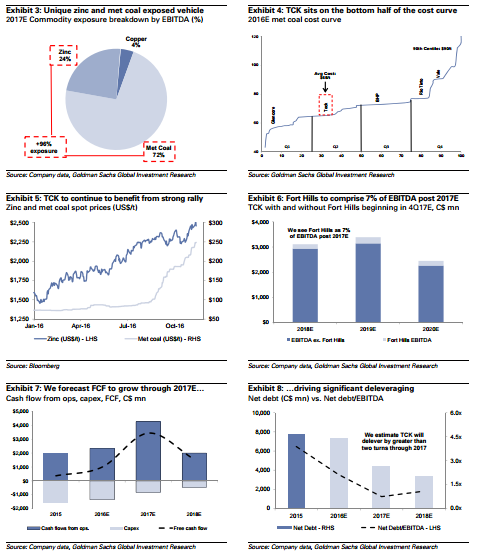 Quail included the following six charts in his report to help explain Goldman's Teck upgrade. Barrick Gold was up 2.19 percent at $14.96. Freeport-McMoRan was down 1.29 percent at $13.74. Newmont Mining was up 1.93 percent at $33.23. Teck Resources was down 1.62 percent at $22.50.